RCK Combat Fitness is committed to excellence and advancements in high performance conditioning and strength development for fighters and you. We have a sincere interest in helping today’s fighters, athletes and you! on your quest to greatness that’s why we also offer specialized training with combat fitness something that most other programs just do not offer. When it comes to real athletes the job of the Instructor is to identify areas in need of improvement, and then customize the workouts specific to these needs, rather than conforming to a generic model. If such a model existed, there would be no need for strength and conditioning specialists. Athletes would all follow the exact same plan. Such a generic plan does not exist, so do not force such a model on all your athletes. They deserve better don’t they. Now of course anyone can get fit with our programs and so many have, but here I’m talking about other athletes not just fighters and you. If your looking for a program make sure you find one that never sacrifices skill and conditioning for strength work and steer clear of failure when training for pure strength and most of all make sure that you always focus on quality over quantity with any training program! Anyone Can Be Fit! But Are You Combat Fit? At Ray’s Combat Kickboxing You Will Get World Class Training Under Real Martial Arts & Fitness Experts With Over 25 Years Of Experience. RCK Training Center where can you can Get Fit & Get Defense. Our Combat Fitness – Fit To Fight modules are all about Functional Fitness for Fighters and You! It’s about training your body to handle real-life situations of combat sports or street defense. Our goal is very simple we want to get our students combat fit! Fast as possible so they can fight back if forced to engage in the street. If they enter into the ring or cage for combat they must be truly combat fit for fighting. This type of Combat Fitness Training takes our student’s overall fitness to new levels that most could not even imagine. We do this by working on three main Objective’s that are constantly challenging us to become truly Combat Fit = ( Ultimate Endurance / Functional Strength / Fighting Skills. ) We are not a bodybuilding or gym fitness program. Looking good to us is a by-product of our training system, not a main destination. Our objective is very specific and our methods have been selectively put together to achieve our goals of being truly combat fit. Step Out Of Your Comfort Zone! 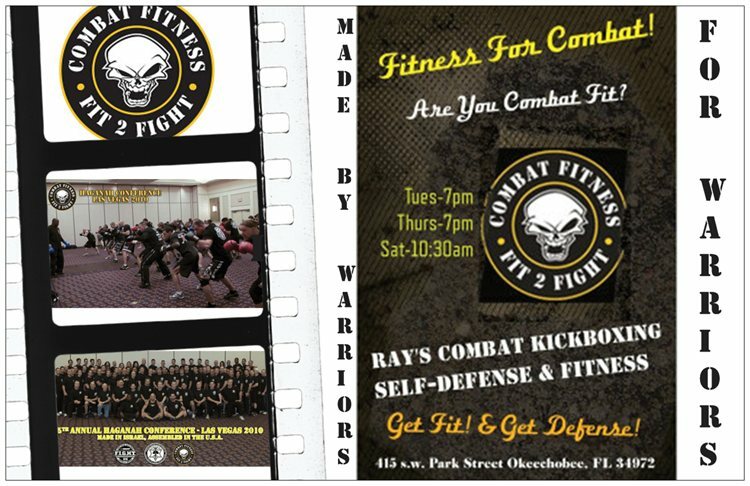 Come Get Combat Fit! with Combat Fitness It’s Fitness For Fighters & You! We Offer many packages to meet your needs.